2. Eat lower on the food chain, and especially eat less beef. Cattle, pork, and poultry production harms the environment because of habitat destruction and loss, pesticide use, heavy water demand, disease, manure runoff into lakes and streams, and hormones and antibiotics working their way into natural systems. It requires far more acres to produce the same number of calories of meat than of vegetables or grains. And intensive “factory farms,” where animals are overcrowded and stressed, can become hotbeds of disease and are a primary source of bird flu (which might more appropriately be called “overcrowded poultry flu”), salmonella, conjunctivitis, and other disease organisms. Meat production in particular causes a huge array of serious problems for birds. Habitat destruction. 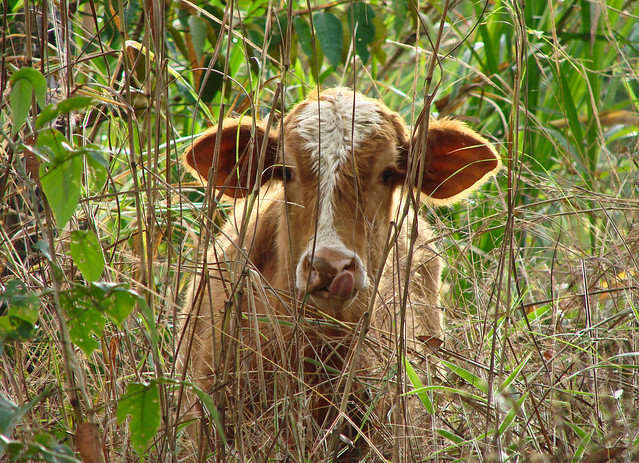 Grazing cattle can degrade natural grassland habitat, especially when too many cattle are grown per acre. Overgrazing in the American West has destroyed a great deal of valuable habitat, causing population crashes among Sage Grouse and other species. Forested habitat, especially in the tropics, is destroyed by cutting and burning to provide more farmland for beef and the crops used for cattle feed. About 57 percent of U.S. corn production, 45 million acres, is used for livestock feed. An additional 60 million acres are used to grow hay crops. That’s more than 100 million acres—larger than the state of California—devoted to nothing but meat. Cipro, despite its current fame for preventing and treating anthrax, is in danger of becoming a casualty of what might be called the post-antibiotic age. Bayer, the maker of Cipro, also sells a chemically similar drug called Baytril, which is used in large-scale poultry production worldwide. The widespread use of Baytril in chickens has already been shown to decrease Cipro’s effectiveness in humans for some types of infections. Bacteria have always adapted to our new drugs fast =er and more efficiently than we can adapt to their genetic changes. Through prudent use, we can preserve the effectiveness of our drugs for use in treating human disease while we search nature and chemistry for new defenses. Yet we are now squandering this precious resource by using powerful antibiotics carelessly for livestock and poultry—mostly for nontherapeutic reasons. Tragically, more and more bacteria are becoming resistant not only to one antibiotic but to many. Antibiotic-resistant bacteria may transfer resistance genes to other bacteria, and these resistant bacteria can be transferred between animals and between animals and people. Consumers who are aware of this problem can encourage farmers or even pressure the government to minimize the use of antibiotics, especially for nontherapeutic reasons such as growth promotion. If we can find out where meat comes from and refuse to buy from companies that overcrowd their livestock or poultry or use antibiotics to promote rapid growth, we can protect both ourselves and wildlife from the spread of more virulent diseases. Antibiotics aside, growing any livestock in overcrowded conditions allows disease organisms to flourish. 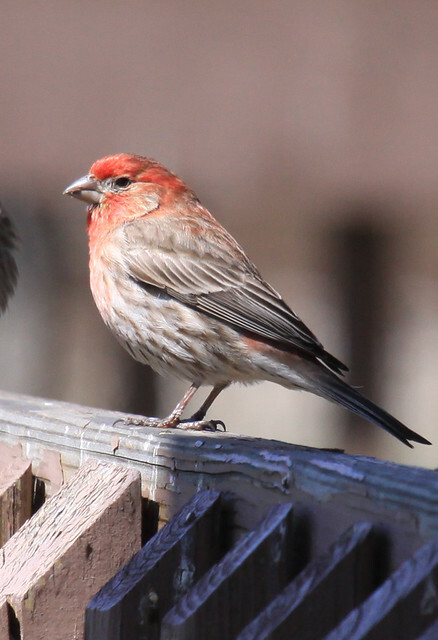 Mycoplasmal conjunctivitis (Mycoplasma gallisepticum), which has taken a huge toll on the eastern population of House Finches, may have originated on high-production turkey farms. Bird flu reaches humans via unsanitary, overcrowded poultry, not through wild birds. Mad cow disease is also linked to factory farming that contains the ground-up parts of infected animals. Hormones. 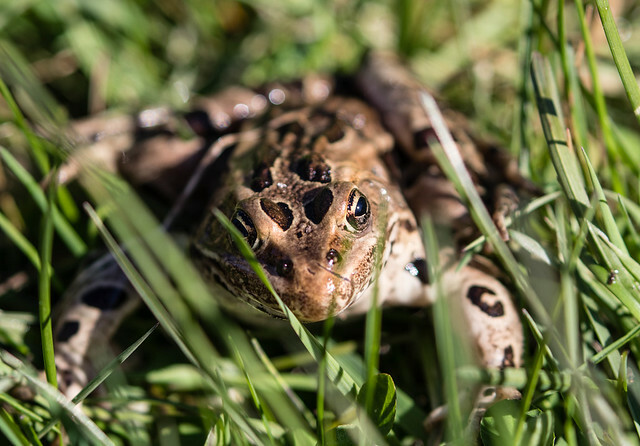 When hormones are added to cattle feed to increase meat or milk production, they may work their way not only into our bodies when we consume the products but also into our water, affecting birds, frogs, and other wildlife. Water Shortages Livestock and poultry raised in confined spaces require a lot of water, mostly drawn from groundwater supplies. According to David Pimentel, professor of ecology in Cornell University’s College of Agriculture and Life Sciences, “Producing a pound of animal protein requires, on average, about 100 times more water than producing a pound of vegetable protein.” He noted that raising grain-fed beef takes 100,000 liters of water for every kilogram of food produced. Raising broiler chickens takes 3,500 liters of water to make a kilogram of meat. In comparison, soybean production uses 2,000 liters per kilogram of food produced; rice, 1,912; wheat, 900; and potatoes, 500. “Water shortages already are severe in the western and southern United States, and the situation is quickly becoming worse because of a rapidly growing U.S. population that requires more water for all its needs, especially agriculture,” Pimentel observed. Genetically modified crops More and more grain produced for livestock and poultry feed is genetically modified. 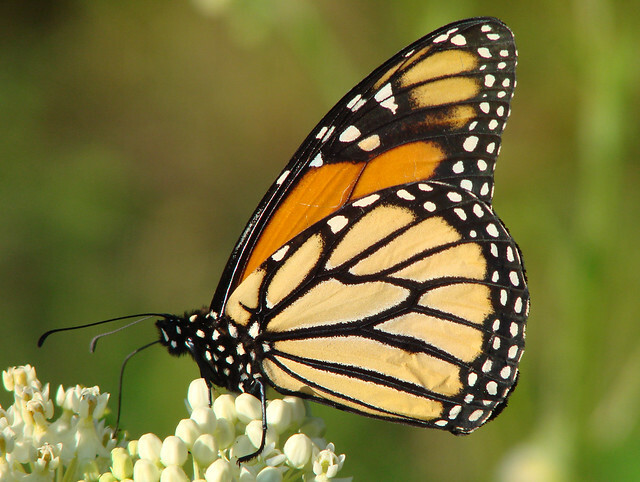 Some genetic modifications render these crops toxic to butterfly larvae and other useful insects that feed birds; others make them resistant to pesticides so that farmers can increase the amount of herbicides they apply to their fields. Either way, genetically modified crops are fostering the evolution of resistant weeds and pests, which may ultimately lead to a vicious circle of even heavier pesticide applications. Also, genetically modified crops “spill over,” cross-pollinating other crops. The Union of Concerned Scientists produced a report, Gone to Seed, that confirms the difficulty of preventing cross-pollination from genetically engineered crops that are grown in large quantities. According to analyses by two independent laboratories, five out of six samples of corn, soy, and cotton seeds certified as pure enough for commercial grade contained traces of genetically engineered DNA. The report warns that if the rules for segregating genetically engineered crops are not tightened as the number of engineered varieties grows, the entire U.S. food supply will soon be contaminated. Fossil fuel use. Meat production requires fossil fuels to power tractors and harvesting equipment on grain fields, to transport animals to slaughterhouses and the market, and for refrigeration. Tracking the production of meat from the feed trough to the dinner table, David Pimentel found that broiler chickens represented the most efficient use of fossil fuel and beef the least efficient. 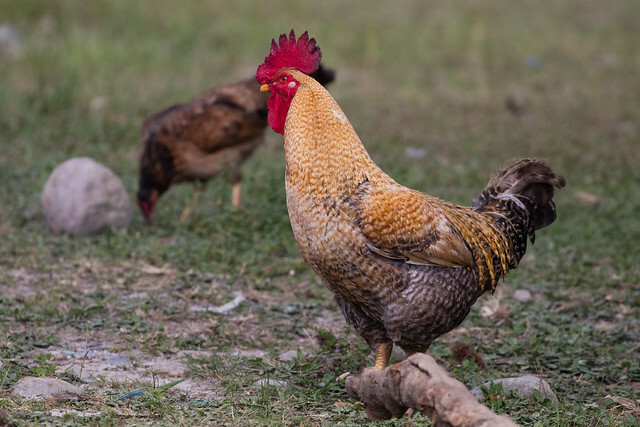 Chicken production consumes energy in a 4:1 ratio to protein output; for beef cattle production, the ratio of energy input to protein output is 54:1. Lamb meat production is nearly as inefficient at 50:1, according to Pimentel’s analysis of U.S. Department of Agriculture statistics. Other ratios are 13:1 for turkey meat, 14:1 for milk protein, 17:1 for pork, and 26:1 for eggs. Pesticide toxicity. The American Bird Conservancy estimates that at least 672 million birds are directly exposed to pesticides on farms each year, and 10 percent of these, or roughly 67 million birds, die. According to the U.S. Fish and Wildlife Service, approximately fifty pesticides currently used in the United States have caused bird die-offs. Pesticide use is particularly heavy in corn production, and much corn is grown for cattle feed. Mowing of nestlings. 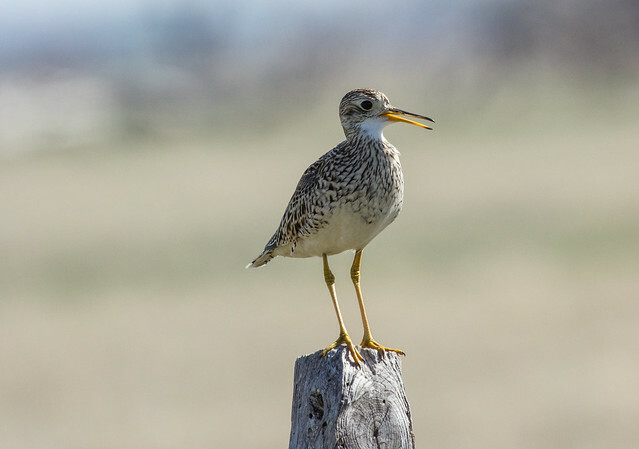 Many farmers now cut hay three times a season and begin cutting earlier, while many ground-nesting grassland birds are still nesting. Cutting hay (much of it for cattle feed), especially before the Fourth of July, may kill up to a million birds a year. Soil erosion. Livestock is directly or indirectly responsible for much of the soil erosion in the United States. Pimentel found that on lands where feed grain is produced, soil loss averages 13 tons per hectare per year. Pasturelands are eroding at a slower pace, averaging 6 tons per hectare per year. However, erosion may exceed 100 tons on severely overgrazed pastures, and 54 percent of U.S. pastureland is being overgrazed. 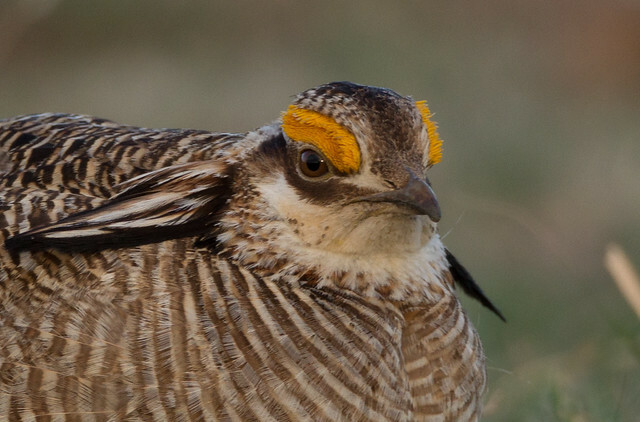 In my neck of the woods, less than 1 percent of original native prairie areas remain for grassland birds to nest in. Instead, they depend on pastures and hayfields to nest and raise their young. In large part because U.S. farm policy supports the corn and soybean market with private subsidies, most beef and dairy cattle in Minnesota are fed grain in feedlots and huge dairy barns. 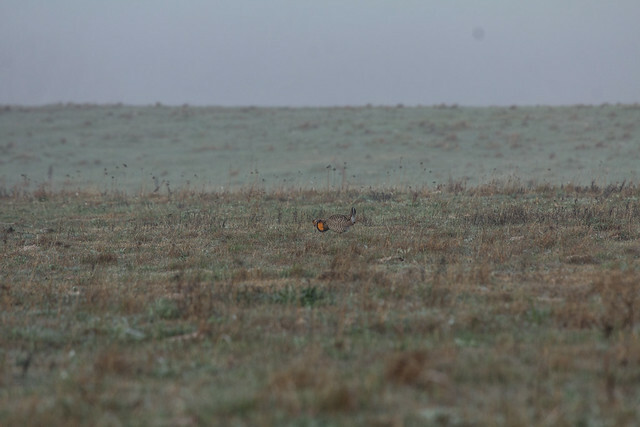 The pastures that could be providing habitat for declining grassland birds (such as Eastern and Western Meadowlarks, Upland Sandpipers, Bobolinks, and Henslow’s Sparrows) as well as feeding cattle are plowed and turned into corn and soybean fields. Any person who eats beef or drinks milk can help protect habitat for grassland birds (and other creatures) by buying grass-fed beef, and milk from grazing cows. 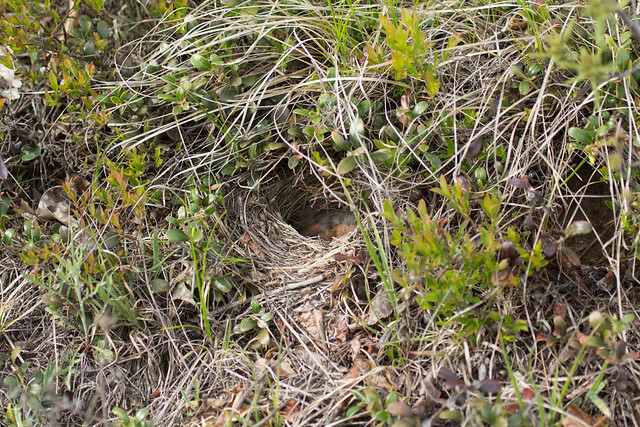 Farmers who depend on forage for their livelihood (and understand the long-term consequences of overgrazing) practice methods of grazing that support good nesting habitat. Pastures also prevent nutrient runoff and protect soil from erosion. Farmers who cut pastures with scythes rather than tractors, identify where nests are located and leave a buffer zone as they cut, or wait until after the Fourth of July for their first cutting can minimize the numbers of birds killed. It’s hard to be sure what agricultural practices were used to produce a fast-food hamburger or even most meat we buy in grocery stores. The more we can curb our appetite for meat, the more we protect our own health as well as birds. But we don’t need to be vegetarians to help birds when we eat. We help birds every time we buy meat marked “organic,” “free range,” or “grass fed” rather than feedlot or “corn fed.” Buying locally grown meat minimizes the amount of fossil fuels used in transport and refrigeration, too.